Here is where you can see what Thrift-Way is all about. This is one of our two chassis machines with a customer's car on top. If you look close, you can see the car is chained to the machine to ensure straightness when pulling the frame. 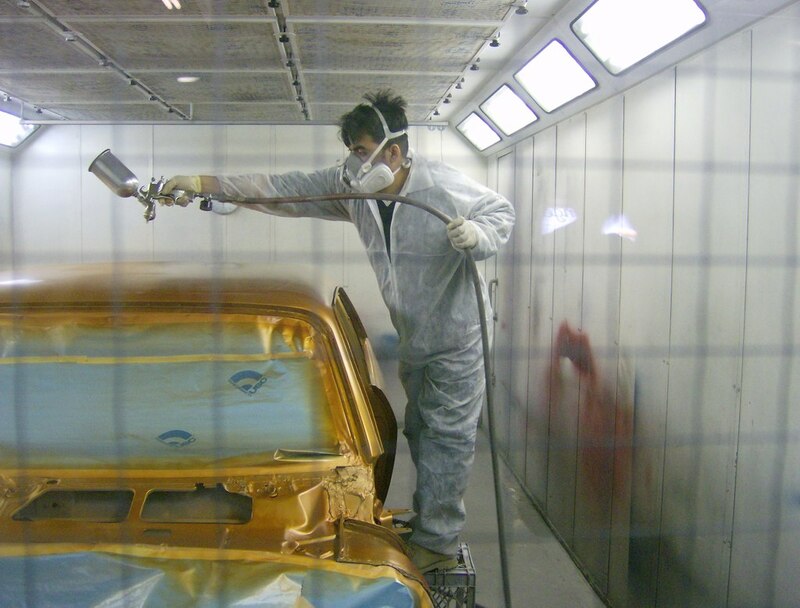 Here is another shot of the booth, this one with our painter, Will, spraying color on the Nova. We are an Interstate/Optima battery dealer, and we have batteries for most cars in stock. If what you need happens to be out of stock, we can usually get whatever you need within one day. On the Optima batteries, we match mail order pricing to give local guys the fairest deal possible. Here is our Accudraft heated spray booth. All paintwork is done in here, and everything is baked for one hour at 130*. Here is the finished product after one hour at 130*. 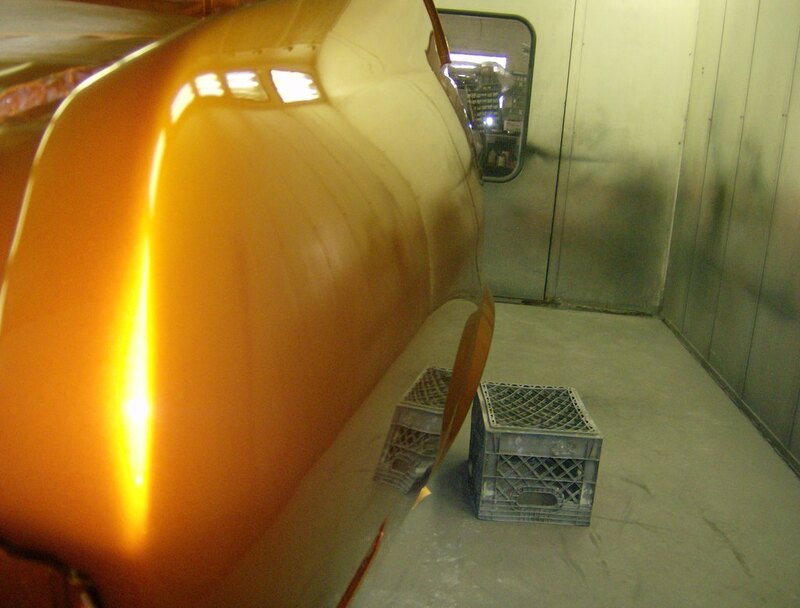 Proper body and prep work is crucial, as well as an experienced painter with the proper equipment. We try to do our best on all jobs, and much like all of our other work we do, our paintwork is guaranteed. Thrift-Way is the oldest tow company in the Village of Hempstead. Serving the Village for over 50 years, we offer 24 hour towing services with our flatbed tow truck. If you're in an accident, don't hesitate to call, despite how late or early it may be.